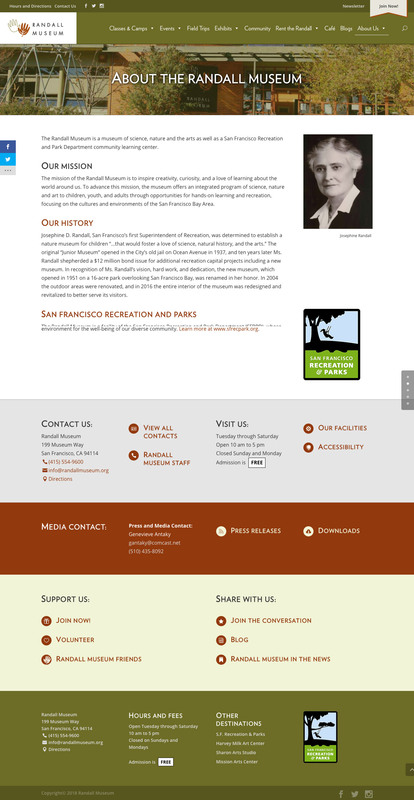 This is the second iteration of the website I’ve completed for the Randall Museum. This iteration re-imagined the user interface, information architecture, content and design elements. The project was carried out to coincide with the renovation of the museum and to provide some point of interest while the museum was temporarily closed. 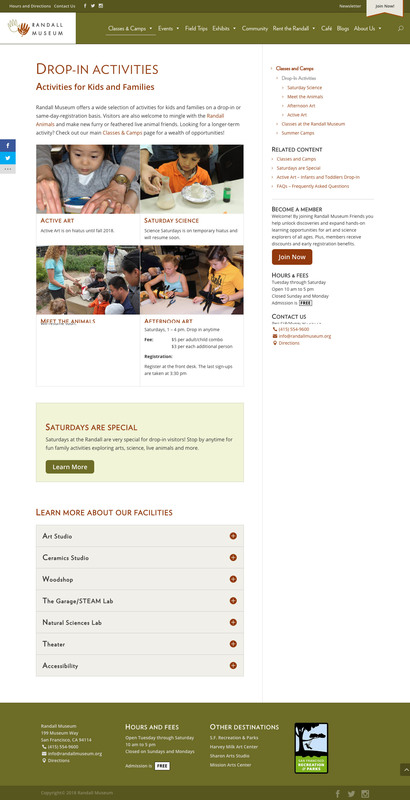 Design elements were selected from the new environmental design to ensure continuity between the physical building and the website. 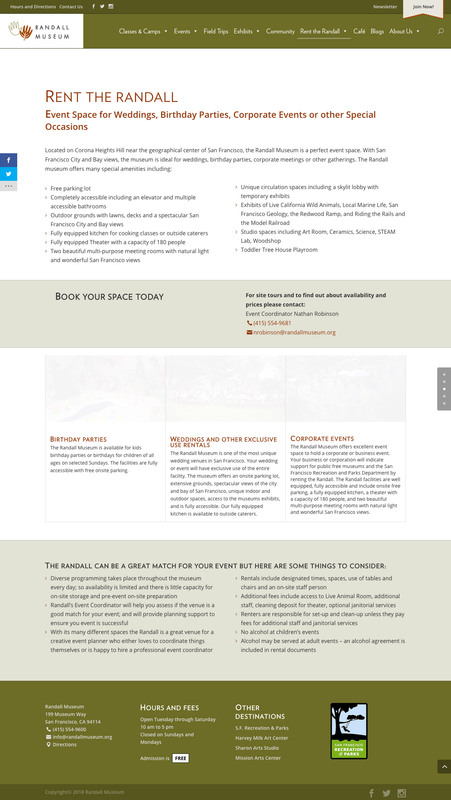 Extra emphasis was placed on events and surfacing related content. This large WordPress site was developed using the Divi theme.